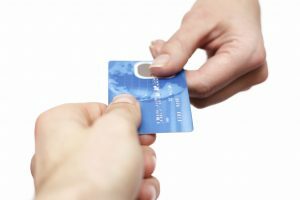 2016 is half over, are you on top of the newest trends in credit card processing? There are big changes coming to the credit card processor in 2016, driven in large part by people’s adaption of mobile payment solutions. The mobile payments sector has seen a large leap forward thanks to more people carrying smartphones that are capable of transmitting data securely. One of the biggest changes to hit the industry is the introduction of mobile credit card machines that retail employees can use to service a customer anywhere in the store. No more long lines during a rushed Black Friday. Retailers can now bring the point of sale to the customer, which makes face to face interaction a lot more important today. This trend has also given birth to pop-up stores, a fairly new concept that is only possible thanks to mobility in payment processing. Credit card terminals have become far more secure, now that there are more ways to hack into a device using a wireless connection. Strong encryption is used to obscure all payment information transmitted over the network. Better security is also important now that more hackers are intent on going after smaller companies, which have historically light security protecting consumer information. Another new trend is the ability to accept more forms of payment for the same item. When you match the customer’s payment expectations, they are more likely to return to your store because you’ll accept whatever tender they have. Charge.com Payment Solutions, Inc. offers internet processing, credit card terminals, and mobile credit card processing at affordable rates.